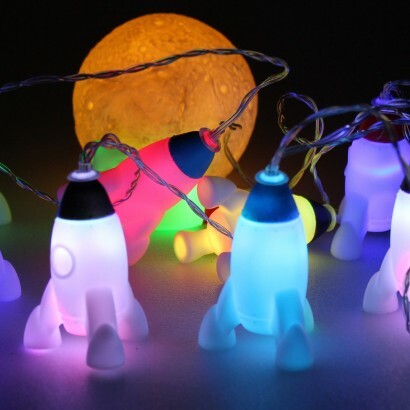 Blast off to colourful bedtimes and take your dreams to the stars with rocket string lights! 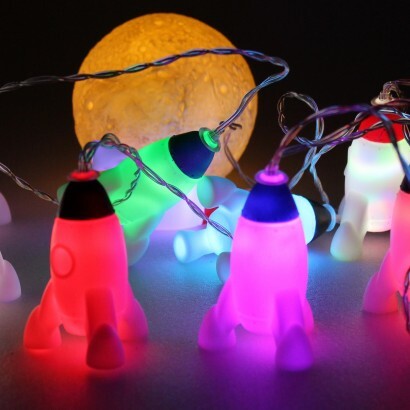 Nine soft and squidgy rockets are lit with colour change LEDs whilst a large moon is lit with a warm white LED for magical effects. Space mad kids will love these colourful string lights that will fill their space with colour change light for a mesmerising light show. 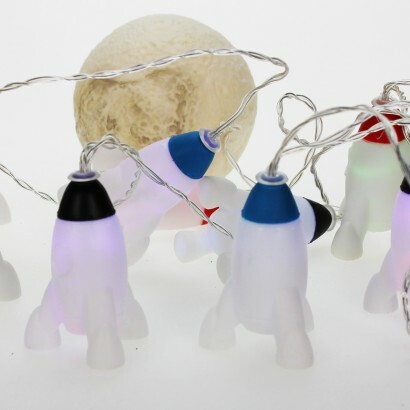 Battery operated, place these soft rocket lights anywhere to make a stunning, colourful lighting feature that will help to comfort and reassure kids at night.